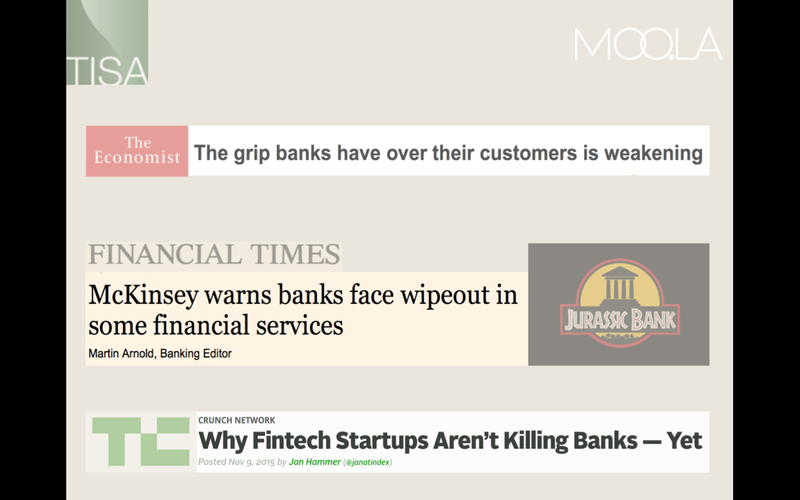 Let’s start with the headlines..
At the same time, investment in financial technology companies globally trebled to $12 billion last year. London is in perfect position – where, unlike having to travel between Silicon Valley, New York and Washington, as this audience proves – tech, finance and government are within walking distance. That’s why, while astounding, it’s not completely incomprehensible that of the $2.2bn invested into London’s tech start-ups, 75% was invested in FinTech. We’ve entered a new era.. where the largest hotel company owns no property, the largest taxi service no cars… technology is providing access to services without the traditional high overheads. The old model of finance is no longer working. Previously it was all about selling or ‘pushing’ products. Keeping things complicated to justify high fees. The financial crisis exposed the flaws in this strategy – money wasn’t protected and the fees unjustified. Rather than selling products, people need problems solved. They don’t want their money shrouded in mystery, they want to be smarter and to certain extent do it themselves. A service built around their needs. There’s a real demand not being met – 5.4 million have enough money to invest but not enough to qualify for a financial advisor. Moreover, greater transparency on fees means millions of people will no longer access workplace advice, which they’d previously thought was ‘free’. Finally, the rise of ‘DIY’ (do-it-yourself) investor wants to have some input into their investment choices. They will constitute 75% global workforce within 10 years. 73% would be more excited about a new offering in financial services from Google, Amazon, Apple, PayPal, or Square than from own nationwide bank. So what progress has been made so far? Banks are struggling with legacy technology – software built by difference teams, in different languages, in different locations – complexity built upon complexity. Costly to maintain let alone upgrade. Their physical presence is shrinking: Almost 2,000 costly bank branches have gone in the past 5yrs, according to the British Bankers’ Association. Customers can’t visit branches that don’t exist. Walls that until recently protected the banks are coming down. Historically, we only changed financial provider every 27 years, with switching bank accounts seen as a chore, shielded incumbents from competition. Pizza hammers the point home… Here’s the one image to remember… TISA’s research has discovered that it takes less time to get a pay day loan than it does for a pizza to be delivered. And far far longer than either, is the time it takes to start saving and investing for your future. Things have to change. On the go, in the know & a quicker way to grow. In the know: banks’ efforts to sell products to customers will be undercut by new financial firms able to pitch more suitable financial products, using accumulated data. A quicker way to grow: This is the UK’s once-in-a-century chance to be a financial technology leader as in contrast to the US – London combines finance, tech & government, as you can tell from the people in this very room. Walk the walk not just talk the talk. Evolve – Build what customers want. Capitalize on the access banks have to a wide customer base, and their data. Collaborate – to keep up with rapidly changing processes. Retreat – to more traditional basic financial services and as a ‘utility’ behind the scenes. So.. in conclusion… hopefully I’ve managed to walk the walk as well as talk the talk today. To be successful, you need to focus on what it is that your customers want and how do they want it. Almost 75% banking will be carried out on a mobile by 2020. We’ve tackled: What’s going on? Banks focused on selling products they wish to deliver in a way they wish to deliver it are under pressure. Why is this happening? Financial services are becoming demand driven, with the balance of power in the hands of the customer. 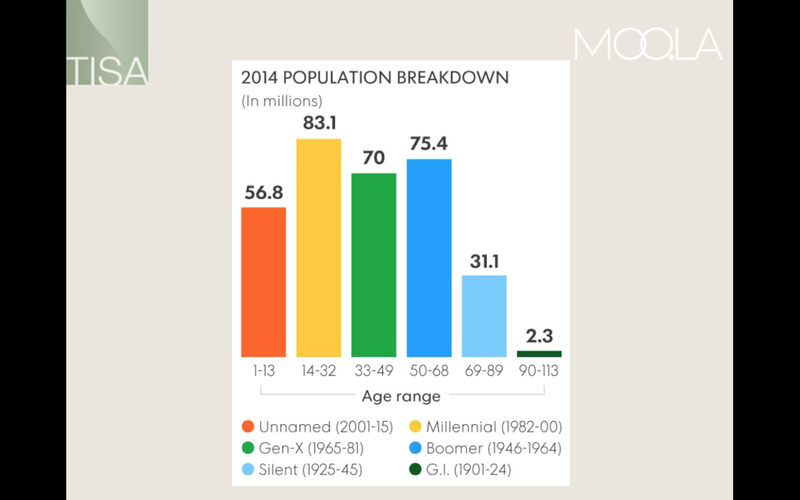 As demographics shift and with the rise of technology, their needs are not being met. How far have we come? Pressure is building as walls previously providing protection from emerging competition are coming down. Where are we heading? On the go, in the know and finding a faster way to grow. What can we do about it? Build, collaborate or retreat – walk the walk not just talk the talk about being truly customer-centric – good luck!